Guide on the Side: What is it? 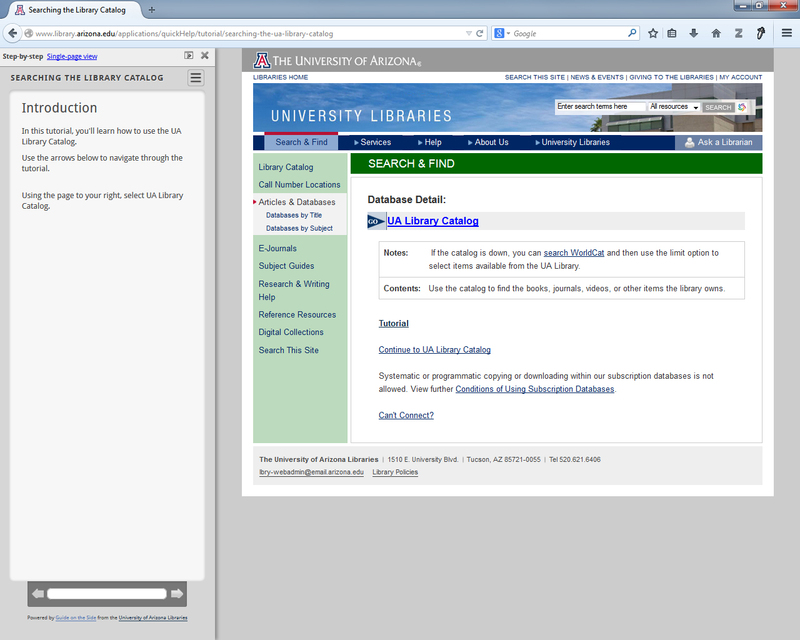 Guide on the Side is an open source software product developed by the University of Arizona Libraries for web-based tutorials incorporating authentic and active learning principles. Instead of screen captured video tutorials, users interact with the live web and actual resource while learning.